Wholesale vs Retail: What’s the deal with the $50 Minimum? go our customers stores to purchase at retail. NOT want to be listed on our site. for a hefty mark up for retail. charging California tax because you are a reseller. demand a sales permit every time? State permit, we are on the hook for the sales tax. it. Again, it’s all about the California sales tax issue. story, we help them out, otherwise we refer them to one of our dealers. mark up to keep the “playing field” very level for our loyal customers. Elf’ie Says: It’s September, Time for a Free Give Away! Yep! It’s September, I went to the first high school football game on Saturday. (We lost, 29 to 14). My youngest is a cheerleader, and while I really was not too interested in the game, half time was a real event! And while I was sitting in the stands, waiting for the next cheer to start, I thought to myself, "if I was a Gnome, a small 1" tall plastic Gnome, and ran a company that imported craft items from Europe, what kind of promotion would I run?" So, thanks to Elf’ie the Martin Meyer Gnome, we came up with our Refer-A-Friend September promotion! Basically, we are a small company serving a small but dedicated following of artists, craft’ers and miniature fans. And who knows our type of prospective customers better than anyone else, our existing customers! And what do our customers like more than anything else, Free Stuff! 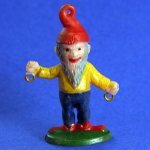 So, the way that Elf’ie, the Martin Meyer Gnome figures it, if we offered to send a grab bag of cool and totally free stuff to someone our customers recommended, a) we get a potential customer (or at least they will know we exist! ), and b) your friend gets a box of Free Stuff, just for being your Friend. "Well", I said to Elf’ie, (as our team missed another touch down pass), "why would our existing customers want to share the name and address of one of their dear friends with us?" I continued to talk to Elf’ie, (who was really much more interested in the hot dogs being served at the snack shack, then to my logical reasoning), " I mean, while we are nice people and all that, but it’s alot to ask people to send us the names of artists, crafter or others who would love to get Free Stuff, just so they will get some free stuff" And that’s when Elfie, being the smartest plastic Gnome around, came up with the answer, "because you could send your customers free stuff as well, just for sharing the names of interested clients with you!" 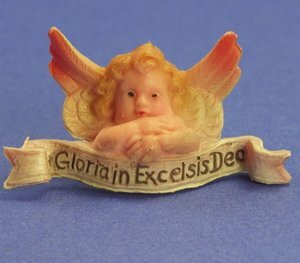 "Elf’ie" I said, being very impressed with the brain power of this nicely detailed, hand painted German import miniature Gnome (Part number #204-2-168) "That’s brilliant, we can provide our customers an opportunity to share our products with others , and get a free gift for themselves as well!" Not a bad idea I thought to myself! So, if you know someone who might like a free sample of the Martin Meyer Imports West products, just drop us a note and let us know! (Name, street address, etc). And, in the same email, please give us your address and will send you a free kit as well. So, what’s in the kit? I don’t know. Maybe you have some ideas? 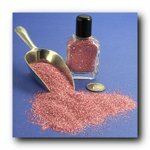 I was thinking some German Glass Glitter, maybe a miniature rabbit or horse. Maybe some mushrooms, A tree or two? And of course, your own Gnome. Afterall, it was his idea in the first place. Note: Offer limited to the First 500 responses, or the end of the month, or until we run out of free stuff, or just get bored with this and go on to the next big idea. You know those Gnomes, they are marketing geniuses and are always coming up with new promotions……. Deep down inside I am a model railroad guy. That’s how I got into this business. I always felt that there was a business opportunity here and after 15 years I am still trying to find it. This blog is going to be a little bit of the story of the path that got me here. business, why I am in it, what we are trying to do and why I think "we have something here". For those who may not know of Martin Meyer Imports West, we are direct importers of very nice craft, art and hobby supplies from Europe. The overview of our business is that we a small family run company are that is the North American marketing and sales representatives for a bunch of small family run European companies. Our partners create some of the best products around, but they are too small to present their goods in the US. My real skill is in building relationships that allows us to become the exclusive importer of these products, in fact earning their trust to become part of their family, to help them in this market and to bring some really nice stuff for you to use. getting lost and seeing first hand how these wonderful items are produced. I’ll also showcase some of our items, give stuff away (free products!) take in suggestions (and complaints) and offer project design tips and suggestions from Elaine, our creative director. Please do let me know what you think, and help me share this with others. My moto is "all ears and no brains", so please do talk with me and help me on this journey. What’s the deal with these two companies? Are you the same company? Do you have Dresden? German Scrapbook Cutouts? Bouillon? These are questions we hear all the time and I know it must be confusing for our customers. Well, here’s the scoop. 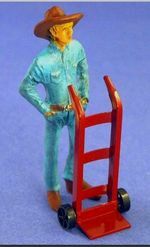 Back in 2004 we were just customers of Martin Meyer Imports and used many of their items in our models and miniatures. As I got to know Edith and Martin, I “popped” the question “were they interested in selling the business”. After a couple trips to Chicago and over a few beers and Bratwurst, a deal was agreed to. While they were not really ready to exit the business altogether, they did need to downsize and reduce the inventory and overhead of the business. We, on the other hand, were only interested in certain parts of their product line. However, we were very interested in possibly taking over the rest of the business (and the company name) sometime down the road. Also, with 50 years of history, we did not want the Martin Meyer Imports name to cease operation. So we effectively carved the business in two, with our operation taking over the German Glitter, Miniatures, Landscape and Christmas items. The original Martin Meyer Imports is continuing to offer their beautiful stickers, Dresden and Bouillon. We chose to re-christen our company Martin Meyer Imports West to communicate the continuation of the business, a partnership of sorts to keep the history intact while we grow the business in new and exciting ways. Even as two separate companies, we remain great friends and help each other anyway we can.